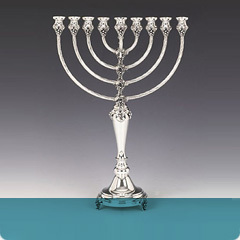 With our large selection of sterling silver menorahs for Chanukah, you can find the perfect royal menorah for your special Chassan or husband! 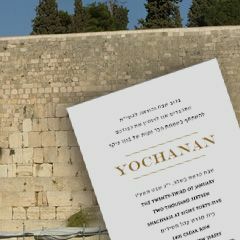 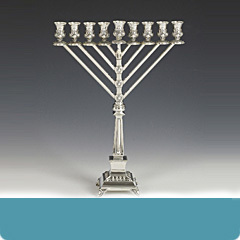 We carry a variety of large and small standard menorahs, Backwall menorahs, and Rambam (Chabad) style menorahs. 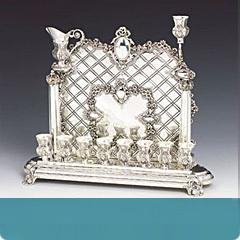 Browse these categories under "Silver Menorahs"